Frequent garden and landscape maintenance is an effective way to enhance the aesthetic appeal of your house. Moreover, it is an activity that enables creativity. However, if you love gardening and keeping up with lawn maintenance, it helps to be familiar with the difficulties and complications associated with it – and the fact that you have to really be committed to the job. Are you a resident of Memphis or a neighboring city and in need of lawn service? Visit our Memphis lawn care page for ways to contact us. Zoysia is one of the best grass types that you can go for in this case. It has a rough and tough texture and the narrow leaves don’t get easily trampled or deformed. 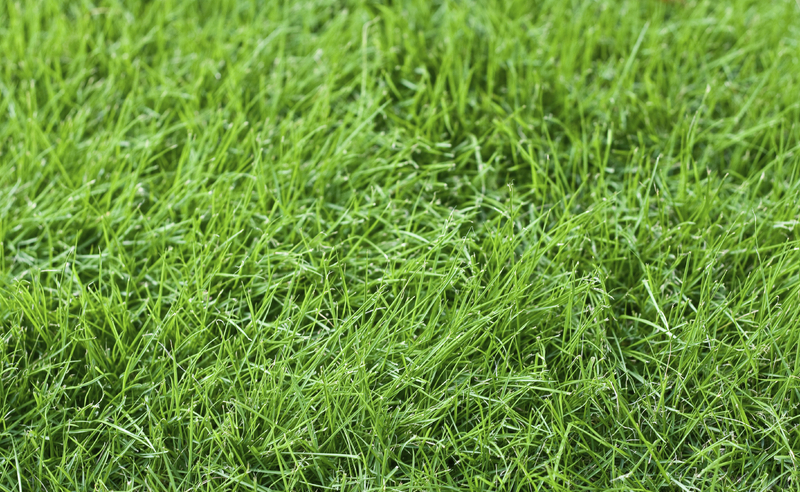 Moreover, this turf grass is light green in color and is perfect for lawns, parks, sidewalks, etc. It is also quite easy to maintain and does not require a lot of care. However, it can be easily damaged due to high temperatures. Therefore it is important that a bit of shade is provided. This is another type of turf grass that is suitable for Memphis lawns. Its aggressive growth makes it highly resistant to weeding. Just like Zoysia, Bermuda is also very rough and tough, which makes it more durable and less of a bother to maintain. It can also survive easily in droughts and extreme temperatures. Maintaining this grass is not an issue. However, it may require a bit more of your attention during winter as you would have to mix it with other types of grass including ryegrass in order to keep it from invading your flowerbeds. Centipede is the turf grass you need if you are looking for a low maintenance, tough grass. You can also grow it with acidic soil. This type of grass has a rough texture and can withstand weed and pest infestations. Moreover, this low maintenance grass is also very appealing and turns lush green in color during mildly hot weather. This cold resistant grass is one of the best options to opt for. There are a number of varieties that fall in this category. All Fescue varieties can tolerate drought, shade, heat and general damage. However, the tolerance of different grass-types may vary. The only drawback of this type of grass is its intolerance towards high temperature as it can be easily damaged during summer. In order to make sure Fescue grass in your lawn stays well even in summers, you must over-seed it with some warm season grasses. Bluegrass is a cold-season grass and is perfect for lawns that receive no or less shade. It remains beautifully green for almost the whole year. However, it is not very drought resistant and might also get damaged due to high temperatures. Moreover, the grass requires a bit more attention and has to be kept maintained. Ryegrass is a more commonly found grass specie in Tennessee. You can find it almost everywhere – gold courses, parks, athletic fields. This means it can handle a lot of foot traffic without getting damaged. While most people use it to mix with other grass seeds, some prefer planting it alone in their lawns and gardens. This is not a high maintenance grass and is best for giving a vibrant look to your garden even during winter. Ryegrass is also drought as well as heat resistant. You must carefully choose the best and most suitable grass type for your lawn. This would require you to consider the weather condition in your region as well as the condition of the soil in your lawn. Once you have decided on a grass type, you can purchase the seeds from any nearby box store. Moreover, you can also order them online. Have more questions about grass types or lawn care? Visit our Memphis lawn care page for more information. The post The 6 most popular types of grass that grow in Memphis, Tennessee lawns appeared first on Lawnstarter.